Some of them don't make it — and it's totally legal. 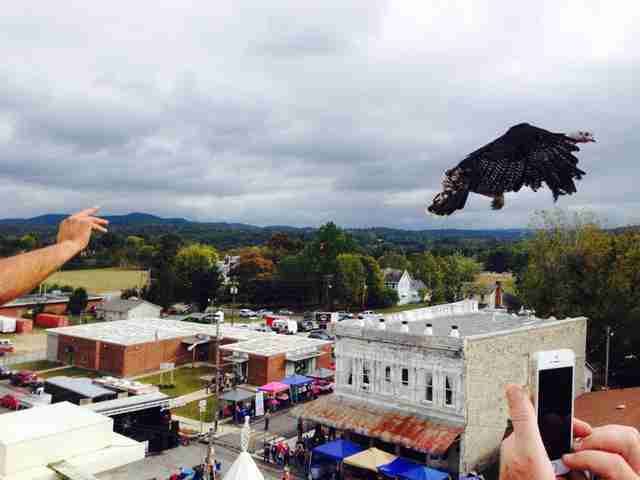 Almost every October for the past 50 years, the small town of Yellville, Arkansas, has celebrated the harvest season unlike any other: by tossing live turkeys out of airplanes. After being thrown by an anonymous pilot, the flightless birds plummet nearly 1,000 feet and crash into buildings, cars or the pavement. Many die an instant death, though others die later after suffering injuries. But according to the Federal Aviation Administration, it’s completely legal. The “turkey drop” is considered part of the town’s popular fall Turkey Trot festival that promotes local businesses — and over the past few years, it’s been blasted by animal lovers across the country who are outraged by the cruelty. Official numbers aren't released, but roughly a dozen turkeys are used in the drops each year. In addition to the turkeys being thrown from planes, other turkeys are also tossed from rooftops and from stages into crowds. 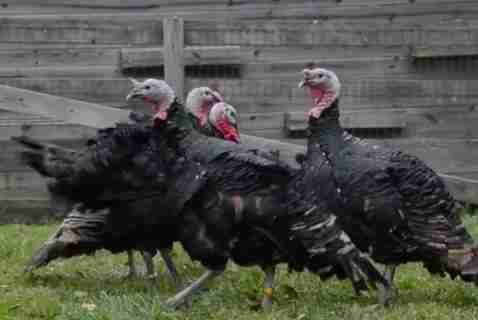 Last year, four of the surviving turkeys were rescued by Farm Sanctuary, which later adopted them out to loving homes. The Federal Aviation Administration has investigated the event in the past, but determined it’s legal as long as the plane is flying at least 500 feet high and the birds aren’t dropped directly onto a crowd. The anonymous pilot involved, nicknamed “the phantom pilot,” reportedly manages a Facebook page which posts derogatory messages toward animal advocates. The fair was previously sponsored by the town’s chamber of commerce for years — but last week, the group announced it would no longer host it due to financial and safety concerns. 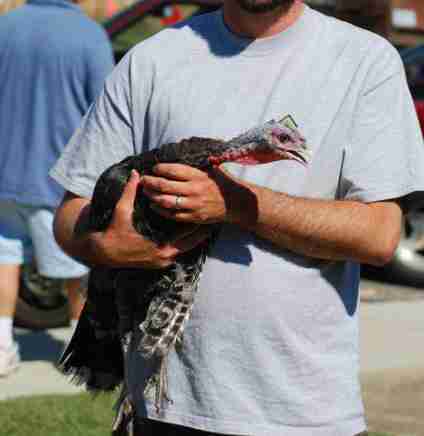 It’s unclear whether another sponsor will step in or if the turkey drops will continue without the actual street fair. Coston hopes the loss of sponsorship will mean an end for the cruel spectacle. To urge Yellville to stop hurting and killing animals for entertainment, you can contact the town’s local elected officials. To help Farm Sanctuary conduct future rescues, you can make a donation.